A Beautiful Boca Raton Community! The Keith Gardens apartments provide enjoyment and leisure at an inexpensive cost. The homes come in one and two bedroom plans, measuring from 613 to 860 square feet. Conveniences include ceiling fans, large closets, breakfast nooks, and kitchens with a pass-thru bar. Your monthly rent includes the water bill. At Keith Gardens, you’ll find plenty of South Florida beauty throughout the grounds. Outside the apartments, you can jump or wade into the community’s glistening swimming pool, and then unwind on its adjacent tables, chairs, and chaise lounges. On top of that, you can take in Boca Raton’s lovely climate, and enjoy some time on your personal screened-in patio. Keith Gardens residents experience desirable community living. Besides providing many conveniences, these rentals are near some of the greatest attractions, restaurants, and entertainment choices in Boca Raton. Whether you want to shop at Town Center, or play baseball and soccer at Countess de Hoernle Park’s Spanish River Athletic Facility, you’ll find a lot of pleasurable things to do near Keith Gardens. Neighboring attractions are just some of the things you’ll love about living at Keith Gardens. For example, admired eateries are minutes away. Duffy’s Sports Grill, Maggiano’s Little Italy, Grand Lux Cafe, and TooJay’s Gourmet Deli are just some of the nearby options. If eateries that are further away interest you, State Road 808, I-95, and Federal Highway provide access to a lot of other choices. If you seek apartments that place you within reach of excellent Boca Raton living, your dreams will come true at Keith Gardens. The apartments here live up to the expected enjoyment of Florida. Starting at $750, these homes are ready for you<https://lsrcommunities.com/contact/?property=Dunes+Of+Boca+L.p.>. 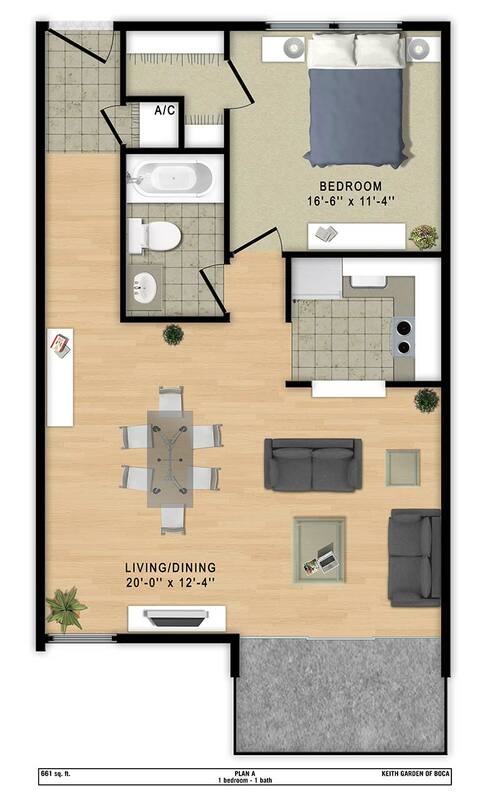 1 BR | 1 BA 613 Sq. 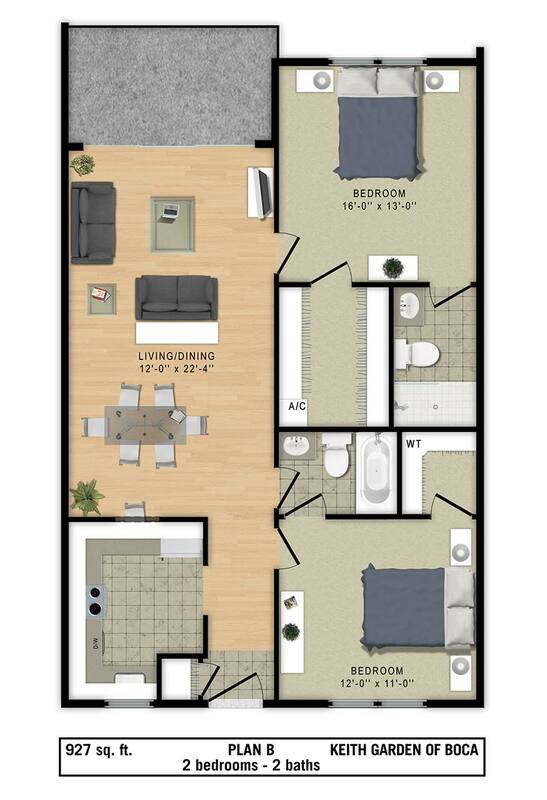 Ft.
2 BR | 1 BA 860 Sq. Ft.
1 BR | 1 BA 0 Sq. Ft.